Although monitor engineering is often thought of as subordinate to handling the FOH sound, in reality it's at least as important. We take a tour around this most crucial of live-sound subjects. To create a musical performance, two things have to happen: your audience needs to hear you, and you need to hear yourself. If you can't hear yourself clearly, how will you know that you're playing or singing well? In purely acoustic music, being able to hear oneself is often taken for granted. But there are situations where this doesn't happen as it should. For example, in an orchestra performing on stage, each musician needs to hear his or her own instrument clearly and distinctly from the other instruments around them. But sometimes the acoustics on stage make this difficult. Suddenly, one's ability to perform well has been diminished severely by the inability to hear one's own playing. The same applies to amplified music. 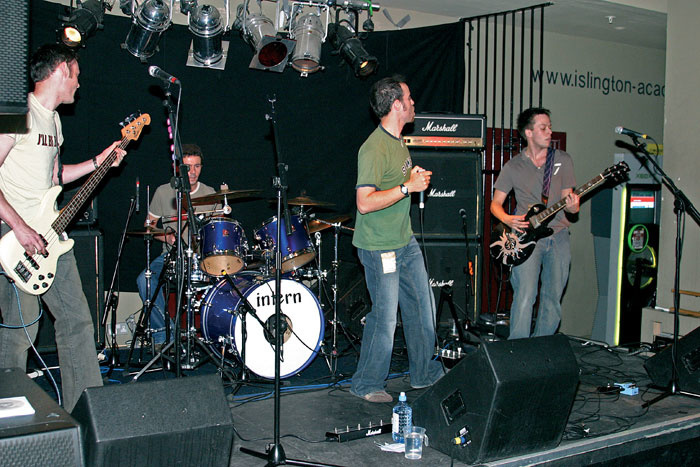 In the early days of pop and rock bands it was common to provide only front-of-house (FOH) amplification, commonly mixed from the stage by a member of the band (who, of course, couldn't hear the FOH PA properly). Although many exciting performances (and undoubtedly many distinctly unexciting ones) have been given in this way, the fact is that no-one is properly in control of what the audience hears. The one advantage is that the band can angle the speakers and set their levels so that they can hear themselves and each other reasonably well, most of the time. Fortunately, progress has been made and we now recognise that it is essential to have the mix position at front-of-house, placed centrally amidst the audience area. The FOH engineer is now ideally placed to control the sound the audience hears. The problem now is that the band are no longer in any kind of control whatsoever of what they hear. Clearly, in an ideal scenario, there should be a completely independent system to provide the band with crystal clear sound so they can hear their own individual performances and the overall sound of the ensemble. This is what stage monitoring should provide. So let's imagine you're the lead singer of a band. 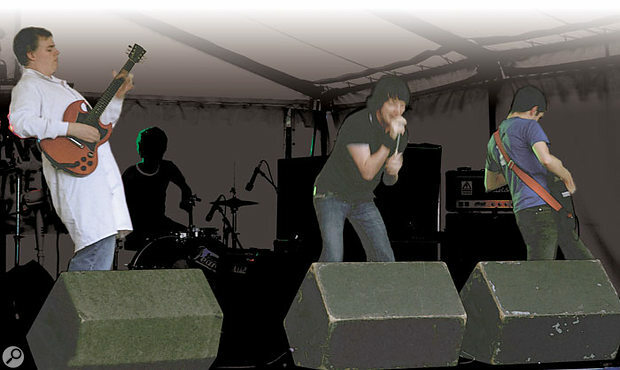 The lead singer needs to feel that his or her voice is strong, in tune, and communicating emotion to the audience. Clarity and good tone of voice are paramount. Also, the lead singer needs to hear the band, so that they know they are in tune and are fully comfortable that the band are following them precisely. If the band are playing to a click track or a recorded backing, strict tempo will be an issue and the lead singer may need the band to be more emphasised in the foldback, since now everyone has to follow the click (even though only the drummer would normally hear it) or recording; the band cannot follow the singer. The other band members have their own individual requirements, but in general they also need to feel that they sound great. They need to hear the vocal, too, otherwise they might have a blank moment and forget whether they're in verse two or verse three (that's scary when it happens). They will also have a preference about which other instruments they need to hear most clearly, to feel as though they're 'gelling' with the rest of the band. The Hear Technologies Hear Back system is one of several on the market that offer performers the option of self–adjusted monitor mixing. Over the years, the topic of 'self-adjust' monitoring has waxed and waned several times. The idea is that if musicians can never be happy with the mix the monitor engineer gives them, why not let them adjust their own individual monitor mix? Systems such as the Intelix Psychologist allow up to 16 individualised personal mixes. Sounds like heaven, and surely nothing can go wrong? Well, yes, something can go wrong. As tempting as it might seem to eliminate that pesky monitor engineer from the signal chain, there are several problems with self-adjust monitoring. First and foremost is that the musicians now have something else to do as well as perform. Second, it takes years of experience to become a good monitor mixer. When are the musicians going to get that experience for themselves? Third, the natural instinct of any newcomer to a mixing console is to increase the level of anything that seems too quiet. So eventually everything gets boosted and all the faders are at the top end of their travel. Fourth (should I stop counting now? 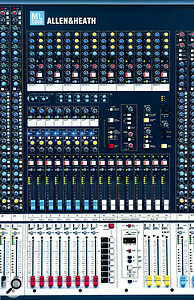 ), monitor mixing is largely about managing the clutter of sound that can so frequently occur on stage. With individuals controlling their mixes, this is just so not going to happen. Having said that, the idea still seems to be a good one, so perhaps it just requires further work. Or maybe musicians will become more savvy in this area and be able to use their new power wisely and responsibly. One area where self-adjust seems most likely to succeed is in-ear monitoring. Here, the performer can't spoil the sound for anyone else through spill, and the clarity of in-ear means that it should not be necessary to apply too much level through ignorance or inexperience. Time will tell on this point. There are also certain technical requirements for stage monitor sound. The first thing to remember, though, is that this is a means to an end. The audience doesn't get to hear the monitors (or at least they shouldn't) and no-one is going to be releasing a live album of the monitor mix. So whatever gets the job done best is the best monitor sound. It should go without saying that the 'no faults' criterion always applies — no noise, hum, buzz, clicks or distortion. Beyond that, there are two features that deserve consideration. The first is that although monitors don't need a fantastically extended low-frequency response, they do need a good firm, punchy bass, subjectively. Bass tends to wash around the room and there will be a lot of 'mush' floating about, which the monitors need to be able to overcome. The other is that the sound from the monitor speakers should not rip your ears off with its harshness. In the quest for clarity it's very tempting to wind up the high-mid and high frequencies, or choose monitor loudspeakers that emphasise the top end (piezo tweeters are offenders in this respect). This is a sign that something is wrong. Either the equipment is sub-standard, it is inappropriately installed or the engineer doesn't really know what he is doing when it comes to monitors. It's also worth considering treating the monitor sound. EQ, of course, is a must, just as you would EQ anything else. Compression of certain individual channels can also help improve the fullness of the sound, although this has to be done with care — as with compression of anything going to the FOH PA — as it reduces the margin before feedback. Also, singers often perform better with a little reverb in their foldback, whether or not it is used for FOH. Any such treatment would be on an instrument-by-instrument basis, rather than used on the whole of the monitor output, and you should carefully assess whether it really is required. Over-complicating a monitor mix unnecessarily is unlikely to bring good results. 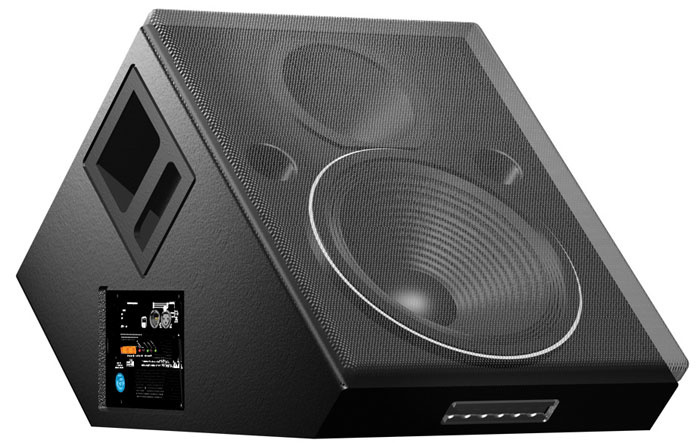 This Meyer Sound wedge monitor is self-powered and is capable of power output up to 550W. However, most dedicated monitors are passive. The classic stage-monitor design is, of course, the wedge. The wedge shape angles the sound upwards from floor level to the musicians' ears. Typically, a wedge would contain a 12-inch (30cm) or 15-inch (38cm) low-frequency drive unit and a one-inch (25mm) compression driver with horn, a classic example being the Martin Audio LE400C. Some interesting features here include the asymmetry of the cabinet's cross section. Place it one way up and you will have an angle of fire of around 40 degrees, but turn it over and the angle will be around 50 degrees. The choice depends on how far away the performer will be from the wedge. The horn is mounted with its long axis vertical, which means that it has a wide dispersion vertically and a narrow dispersion horizontally (70 degrees x 40 degrees at the -6dB points, says the specification). This gives the performer freedom of movement in the forwards/backwards direction. The tighter horizontal distribution allows monitors carrying different mixes for different performers to be placed closer together. Some wedges (but not this one) allow the horn to be rotated according to whether you want a broad spread of sound vertically or horizontally. Just remember that, counter-intuitively, it is the narrow axis of the horn that delivers the broader spread of sound. Many wedge monitors allow the option of passive or active crossovers. In passive mode, they are fed by a single amplifier and an internal crossover separates the high and low frequencies to their respective drive units. In active mode, the internal crossover is not used and each drive unit is fed by its own external amplifier. Naturally, an active crossover has to be used before amplification, to separate the low and high bands of frequencies. One might expect that wedges would be available with internal amplification, which would seem to simplify matters. However such models are rare, one notable exception being the Meyer Sound USM1P, which incorporates amplification capable of a maximum of 550W of output in short bursts. Another feature of the Martin Audio LE400C is that it comes in left-hand or right-hand models. Does this mean that they come in stereo pairs? Well, yes — and if a performer of sufficient stature in the musical hall of fame asked for stereo monitoring, doubtless they would get it. For a lead vocalist, it would be beneficial. But even if monitoring is all mono and two wedges are used to widen the area of coverage, if the wedges were identical the field of coverage would be asymmetrical. If the wedges are mirror images of each other, the field will be symmetrical. Other features of wedges include the option to choose between models that have the HF drive unit positioned above the LF unit, and those that are side-by-side. The thinking here is that a vertically orientated wedge will give a wider and more consistent sound from side to side. However, this is at the expense of a higher physical profile. Obscuring the performer's knees somewhat may be no big deal on stage, but for broadcast the trend is towards lower-profile monitoring. A possible stage layout showing positions of monitor wedges, side-fills and the monitor engineer with console.Where there's a wedge, there's often a 'side-fill'. The best way to use wedges is to give each performer their own, and place them as close to each individual performer as possible. However, some performers are not content to stay rooted to the spot and want to take advantage of other areas of the stage to strut whatever stuff they happen to be in possession of. So these areas are covered by larger 'side-fill' monitors. Unfortunately, side-fills are where everything starts to fall apart. A five-piece band with five separate wedge monitors puts a lot of sound on stage, and since it is impossible to focus sound precisely, there's a lot of spill flying around which does nothing but confuse the sound for everyone. Add side-fill monitors whose whole purpose is to fill the stage with sound and you have a recipe for a sonic disaster. One common complaint among musicians on stage is that the sound is loud but they can't hear anything. This may seem like an oxymoron, but it can easily happen, so side-fills are not a category of equipment that should be used automatically. They should be used when they are needed, and precisely where they are needed. The rule is only to direct sound at parts of the stage that will actually be used, so if a performer wants to be spontaneous and use an area of the stage that wasn't planned to be used and isn't covered by side-fills, he or she will have to adapt to that localised situation. The alternative is to compromise the sound all round. The first law of amplification applies to monitors too. 'What is the first law of amplification? ', I hear you ask. It's the one that states that the amplifier should have more power than you would ever possibly want to use, for the particular application you have in mind. There's still a general feeling around that if you have a speaker that claims to be able to handle 100W, the amplifier should be no more powerful than that, 'to be on the safe side'. If that were the case, it would make sense to manufacture cars that could go no faster than the maximum speed limit. But with a car we all know that it's better to have power in hand, and it's exactly the same with amplifiers. Small amplifiers struggle, big amplifiers breeze through — but the engineer has to be in control. The power-handling capability of a small wedge monitor might be a mere 100W, which honestly ought to be easily enough, given that they are always used close to the performer. Some, however, claim to be able to handle up to 500W, and the odd one even more. The McCauley SM9502, for instance, claims RMS power handling of 1100W and a peak SPL of 136dB. Wow! Some monitors feature 'loop-through' input connectors so that the amplifier can be connected to one wedge, then on via the loop-through to another wedge. This is useful for small-scale systems, as you don't need so many amplifiers, and in general any decent amp should be able to drive two wedges without trouble. However, this reduces flexibility and should only be considered as a 'rung on the ladder'. Anyone who has played live will understand the rules of the game when it comes to soundchecks. The headline act gets as much time as they like, the support act gets barely enough. If there are additional support acts, some might even get no soundcheck at all. I've seen that happen. But a good rule of thumb is that things should come together within three songs. For that to be possible, both the band and the engineers need to have good soundcheck technique. For the band, this will mean choosing songs that reflect the typical sonic content of the show as a whole, and having an individual awareness of what they want to achieve from the monitors, which they should already have communicated to the monitor engineer. For the engineers, really it's down to experience and getting more and more practice, leading simply to knowing what to expect in the majority of circumstances. Granted, there may be the occasional Guatemalan marimba orchestra to take care of, but vastly more often it will be a common-or-garden band line-up on stage. One inconvenience of the soundcheck is that both the FOH engineer and the monitor engineer have to do their work simultaneously. Whereas the FOH engineer is left alone to achieve the sound he or she thinks is appropriate, possibly guided by the band's management, the monitor engineer will be in tight communication with the band. One typical complaint made by bands, however, is that although the monitors sounded good during the soundcheck, everything fell apart during the show. Obviously, the monitor engineer must have done something different. But the monitor engineer swears blind that everything is exactly the same. The cause of this conflict is spill from the front-of-house system on to the stage. When the auditorium is empty, during the soundcheck, there's a considerable amount of reflected sound coming back to the stage. The musicians will base their requests for adjustments to the monitoring on the sound from the monitor system, plus the spill from FOH. But during the performance, when the audience is present, that spill is largely absorbed. Human beings are excellent absorbers of sound and suitable volunteers would make highly effective acoustic treatment. Now that the FOH spill is absent, naturally the monitors will sound different. The solution to this is to soundcheck at least one song with the FOH system either completely down or attenuated by 20dB or so. This will give a much more accurate representation of what the monitors will sound like during the performance. The smaller and more reflective the auditorium is, the more relevant this tactic will be. The monitor signal could be exactly the same as the FOH mix, and in fact for side-fills it often is, but the requirements of monitoring are different from the audience's requirements. So the monitor mix really needs to be a different mix from the FOH mix. Fortunately, every PA mixing console has the ability to let you set this up, in the form of pre-fade auxiliary sends. Each channel has an auxiliary send control, which is like another fader that mixes into an auxiliary buss and separate output from the console. 'Pre-fade' means that the signal comes from a point in the channel prior to the fader, so the fader has no effect on the level of that channel in the monitors. Using the pre-fade aux sends on all of the channels, a completely independent monitor mix can be created. But it would be an impoverished console that only had one set of pre-fade auxiliary sends; most have at least two pre-fade aux busses. This means that, providing there are at least two wedges and two channels of amplification, there can be two completely independent monitor mixes — one for the vocalist and one for the rest of the band, most likely. Some consoles have even more pre-fade auxiliary sends. What are not useful, however, are post-fade auxiliary sends. Post-fade auxes take their signal from after the fader. Plainly, this is totally unsuitable for monitoring. The mix the performers hear would be affected by levels that were changing according to the requirements of the FOH mix. When this happens, either by accident or incompetence, it's very uncomfortable for the performers. This Allen & Heath ML5000, with an impressive total of 16 auxiliary sends, is well suited to the task of monitor mixing. The front-of-house console may only have a small number of pre-fade auxiliary sends. The multicore cable might already be close to being fully occupied with incoming signals and outgoing FOH PA signal to the amplifiers. It's another job for the FOH engineer to look after. There's a likelihood of poor communication between the performers and the FOH engineer. 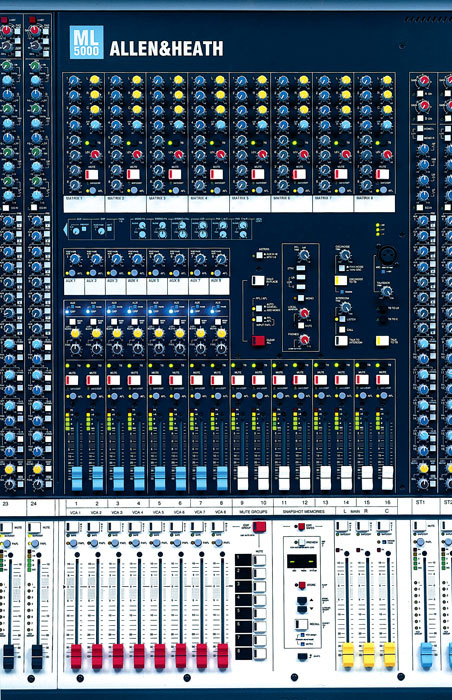 Deciding on a mixing console that is suitable for monitoring is easy: it has to have plenty of auxiliary sends. There isn't necessarily a difference between an FOH console that is suitable for monitoring and a dedicated monitoring console in this respect. As long as there are plenty of aux sends, it's good for monitoring. Of course, where an FOH console is to be used with a separate monitor console, the FOH console doesn't need all those auxes, or they can be used for effects sends if desired. Typical of a console that is suitable for monitoring is the Allen & Heath ML5000, with no fewer than 16 auxiliary sends. Will a band really require that many different monitor mixes (remember that it's common for two or more performers to share a mix, through separate wedges)? Probably not, but auxes 9-16 on this console are configurable as four stereo sends, stereo sends being eminently suitable for in-ear monitoring. If you have a very long memory stretching all the way back to the 1970s, or if you watch archive performances on TV, you will probably have wondered why there were often two microphones taped together for each performer. An ungainly solution, but what was the problem? 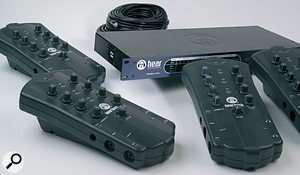 In the case of an archive performance, the reason is possibly to take the signal from one mic to the FOH PA console and the other to a separate console for the film sound. But the other possible reason is to have one mic for front-of-house and the other for monitors. Schematic of a transformer mic splitter.Clearly, this is an inelegant solution and it's much better to use one mic for both purposes, or all three purposes if there is monitoring and recording as well as FOH sound. One possible solution is to solder up a 'Y-cord'. A microphone can supply two inputs reasonably well, if not at tip-top quality, due to the extra loading. The drawback, however, is firstly that a fault in the cable run to one console could short out the feed to both consoles. Also, the earth of one console is now connected to the earth of the other, resulting in a potential earth loop, creating hum. This can be cured by removing the earth connection on one feed, but then that could sever the phantom power from a capacitor mic. Y-cords have their place — mainly in the bin — and there is a better solution, which is to use a transformer mic splitter. 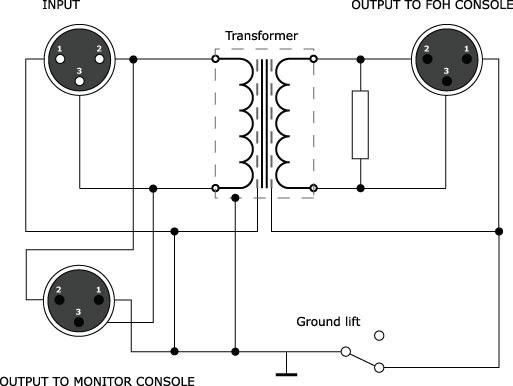 The diagram on the right shows a schematic of a transformer mic splitter. 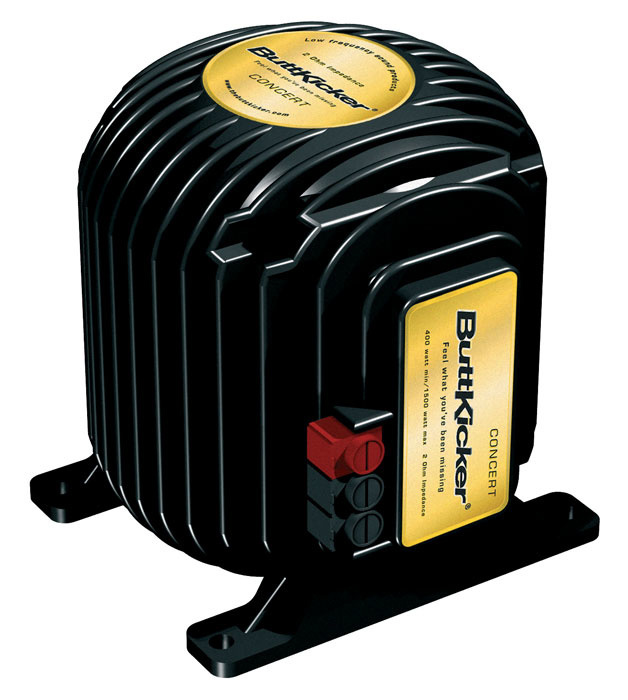 You could make one if you're technically minded — check with Jensen or Sowter for suitable transformers — or you can buy one from BSS Audio, EMO or a number of other manufacturers. They don't seem to be widely promoted, which is odd given that they're so useful. You can see if you trace the signal that the mic is connected directly to one mixing console, but via the transformer to the other. Using two transformers, a third split can be created. The ground-lift switch isolates the earths of the outputs if necessary. You might wonder which output goes to the FOH console and which to the monitor console, and it would seem that the FOH console is most important and requires the direct-wired output. However, this means a longer run for the phantom power for any capacitor mics on stage, hence it is better, by a small margin, to take this output to the monitor console. The sound quality will be indistinguishable in a live environment. Monitor engineers have to be able to hear the monitor mix (or mixes) clearly even in the high-noise surroundings of a typical gig. Direct Sound's Extreme Isolation headphones, which offer up to 29dB of attenuation of outside sounds, are one solution to the problem. The best place for the monitor console is at the side of the stage. Which side is up to you. The monitor engineer might have a personal preference, it might be better to be closer to certain musicians, or there might be technical facilities or people on one side of the stage that you need to be close to. The reason for having the console right there at the side of the stage is, of course, to facilitate good communication with the band. There's nothing worse than band members having to make obvious hand gestures that are visible to the audience. When the monitor engineer is closer, a simple look in their direction with a suitable facial expression can convey the message that something needs attention (of course, a really good monitor engineer would have pre-empted any problem in the first place!). Naturally, the monitor engineer needs to monitor the monitor mix. In fact, the monitor engineer needs to be able to monitor any of the several mixes he or she is creating. This can be done through soloing of the auxiliary outputs, on headphones so that the monitor signal is isolated from the clutter of sound on stage. 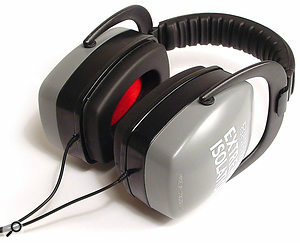 Suitable headphones are the Extreme Isolation headphones by Direct Sound, which offer up to 29 decibels of attenuation of sound from the outside world. They are as good as the ear defenders used by operators of pneumatic drills and by airport workers on the tarmac. One of the great things about headphones such as these is that you don't have to turn the volume up too much and possibly risk damage to your hearing. Without such good isolation, the volume has to be turned up to compete. The other alternative is to monitor on a wedge, just like the musicians, and there's a good case for hearing the sound exactly the way they do. If I can be allowed a personal anecdote at this point, there once was an occasion when I was playing keyboard on stage and I was having considerable difficulty because the monitor mix I was hearing kept changing suddenly. "Incompetent monitor engineer" was my thought, (which, to be honest, isn't all that unusual at small gig level). However, further consideration revealed that he was monitoring the various mixes on a speaker placed on a table upstage of the console. This speaker was firing directly at the back of the PA stack on that side and reflecting back towards me, so every time the engineer solo'd a different mix, I got it too! The moral of that particular story is that the engineer should monitor on a wedge, or position his speaker downstage of the console. Monitoring on wedges is generally workable. But there is one musician in the band for whom wedges might not be enough. Yes, it's the drummer. The problem with drums is that they are so damned loud, so the wedges have to be even louder to compete. In fairness, the rest of the band should really be following the rhythm of the drummer, so perhaps the drummer doesn't need to hear them so clearly. But he or she does need to hear the lyrics, so that he knows where he is in the song. Who hasn't, at one time or another, 'drifted off' and forgotten how many verses have been played so far? (Trouble is, it's sometimes the singer!) The drummer also often has an additional need: to play to a backing track or a click track. If it's a backing track, it's OK to monitor this on wedges. But if it's a click, no-one else wants to hear that click, particularly not the audience. Playing to a click has surprisingly wide applications. One, for instance, is musical theatre shows that incorporates dancers who sing. They actually don't sing, they mime to a pre-recorded vocal track, to which the drummer must keep time using a click. Allow the musicians to play well together rhythmically. Tell the musicians where they are in the song. Allow singers to sing in tune, for which they need to hear themselves and harmony instruments. Allow string players (in particular) to play well and in tune, for which ideally they need to hear themselves, not just the whole string section. Keep the drummer in time with the backing track or click track, if necessary. Band members should feel that they are performing well. The overall sound of the band has to be good for those performing on stage. If there is any spill into the front rows of the audience (which there will be), it should not spoil the experience for them. Much of the above is handled by the selection and placement of monitors, bearing in mind that closer is nearly always better. However, the mix needs to be handled sensitively too. Just as in a FOH or recorded mix, the priority is to evaluate which are the main instruments and sounds, and get a rock-solid mix of those. In a typical rock band, then, clearly these will be the kick drum and bass (you can't get far without getting those right), then the snare and hi-hat, the guitar and the keyboard (and if there is more than one keyboard, the one that provides the harmonies most of the time will be the most important). All the other instruments are precisely that: 'other', and not nearly as relevant to the monitor mix. As an example, how often do cymbals, other than hi-hat, make an effective contribution to a monitor mix? Hardly ever, and you may not even need to include them. It is very well worthwhile considering also how much sound is pumped on to the stage by the backline. Perhaps the guitarist doesn't need any additional level from his own instrument, or maybe just a little extra clarity rather than a full-blown contribution. One way to approach a monitor mix is to bear all of the above in mind, then construct one generic mix that should suit everyone, copy it to the other banks of auxiliaries and then add and subtract level from individual instruments in certain sends, according to the performers' various requirements. Otherwise you'll have to construct each mix entirely from scratch and you probably don't have nearly enough time for that during the soundcheck. Above all, the vocal should be available with ultimate clarity to whichever performers have need of it. Some performers might be happy for it to stay in the background so that they can concentrate on their rhythm. But if someone really needs that vocal, it had better be clearly audible. In-ear monitoring is certainly all the rage at the moment, but time will tell whether it is eventually replaced by something different or better. Basically, it does what it says on the tin: instead of wedge monitors and side-fills, musicians have earpieces through which they hear their monitor mixes. In-ear systems can be 'off the shelf' or can have custom moulded earpieces individualised to each musician. The custom solution is, of course, more expensive. 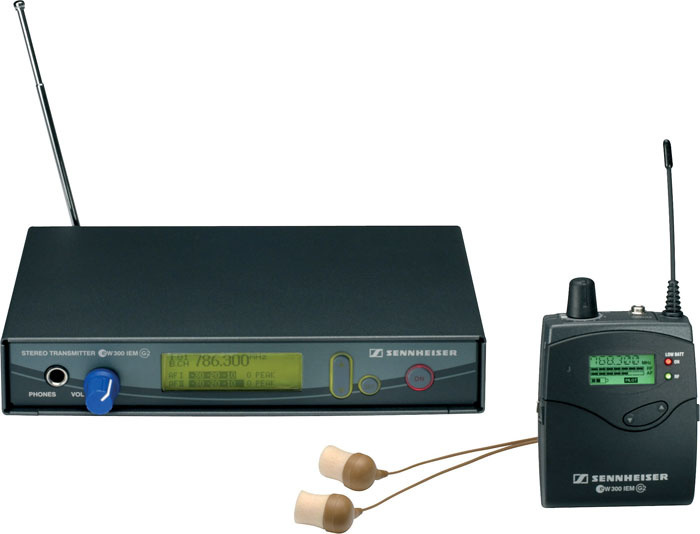 In-ear monitoring offers various advantages over monitoring on wedges, but it may also make the user feel isolated from the audience. The benefit of in-ear monitoring is obvious and considerable: there's no need to 'spray' sound around the stage, which so often results in extreme lack of clarity, particularly where side-fills are involved, and there's no undesirable spill from the monitors into the audience area. With in-ear monitors, the sound goes directly to where it is needed. So that's all good then? Well, actually, not necessarily. The problem with in-ear monitors is that they isolate the performer from the audience. A performer with a pair of earpieces is in his or her own little universe of sound, aurally disconnected from what's going on around them. In-ears don't look as visually obtrusive as headphones, but they are there for all to see. And it's not just the front rows any more, with the common use of large screens in big concerts. It is, of course, possible to use just one earpiece, and many performers do. But it is difficult to get this to work without at least some conventional monitor sound from a wedge. Perhaps eventually the solution would be for musicians to have aural implants, like George Bush (allegedly), so they can get their sound directly, with no visible side effect. In the meantime, the balance of virtues between wedges and in-ear monitoring will have to be carefully assessed for each case. As I said, it's possible to use one earpiece or two. If two are used, there are a number of possibilities for delivering the signal. The obvious thing to do would be to deliver stereo sound which, for preference, requires the monitor console to have stereo auxiliary sends with level and pan controls, rather than having to balance two mono sends, which is tricky. But the performer might do better with a mono mix of the band plus a feed of their own vocal, panned apart to separate them aurally. This is an area that is ripe for experimentation. Whatever gets the best performance from the musicians will be the correct solution. Place the microphone as close to the sound source as possible. If the sound source is loud, that helps. Position the speaker as far from the microphone as possible. Angle the mic away from the speaker, and the speaker away from the mic. Keep the level from the speaker as low as practical in the circumstances. Equalise out the worst-offending frequencies. Now, one of these points is clearly at odds with the other requirements of monitoring. For the purpose of avoiding feedback, it is better for the speaker to be further away. But placing monitors further away creates a confused sound for the performers. Sorry, Mr or Ms Monitor Engineer, you're just going to have to deal with this. Apart from the above, if there's a 'top tip' for avoiding feedback, it is to have a graphic equaliser for every wedge (and each wedge, of course, powered by its own amplifier channel). Each wedge will display different feedback characteristics, even if they are identical models, due to placement, microphone selection and nearby reflecting surfaces or objects. So if each wedge can be optimised in this way, the risk of feedback will be significantly reduced. The other thing that's worth trying is inverting the phase of the signal from the microphone. Whether this works or not depends on the distance of the wedge from the mic and the worst-offending feedback frequencies. If, at the feedback frequency, the direct sound into the mic destructively interferes with the sound from the wedge, you're in luck — less risk of feedback. But if the performer wants to hand-hold the mic and move around, there's no chance of this working. One further problem regarding feedback in monitoring is that the monitor system and FOH system can form a link. So sound from the wedge enters the mic, comes out of the FOH speakers, bounces back into the mic, then back into the wedge. Ahh... the joys of feedback. The remedy is to apply all of the techniques mentioned above. Oh, and you can cross your fingers too. The topic of feedback naturally brings feedback suppression devices into consideration. They are not magic bullets, and sometimes even if they give a useful extra margin, the onset of feedback is even more sudden and horrifying than without the device in circuit. Yes, such devices can be useful, but not until the other techniques of feedback control are mastered and applied. At all times, the monitor engineer needs to be on guard for feedback and be ready to pull down the correct fader. He or she needs to know where the limit of feedback is for each channel, and know which ones are most at risk. Needless to say, the monitor engineer must never leave the console during the performance. The odd thing about monitor engineering is that it is more difficult than front-of-house engineering, yet it is the junior position. To become a front-of-house engineer, either you work with small bands and get bigger, or you work monitors for a big band first. Monitor engineering is one of the most responsible jobs in the whole of sound engineering (second only to flying a centre cluster above the lead singer's head!). It's certainly not a second-best activity, and if you can please the performers with the quality of your monitor mixes, you can be proud indeed of a job well done.